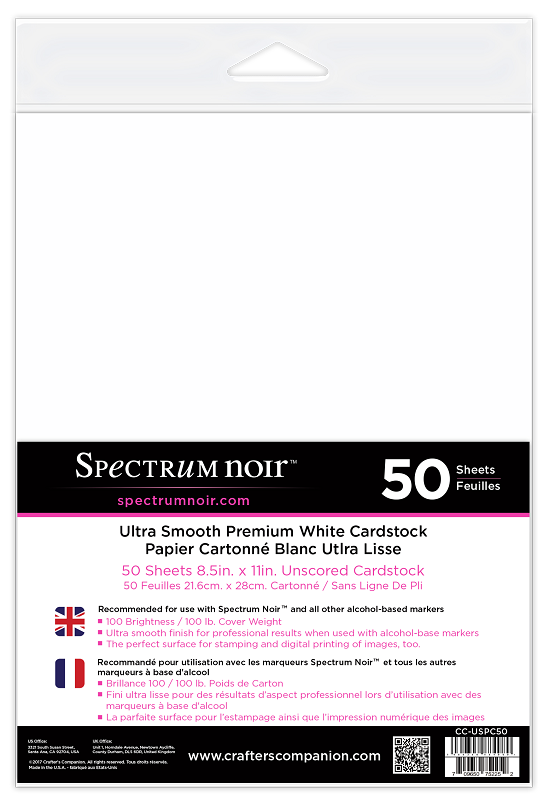 This ultra smooth premium white cardstock is recommended for use with alcohol based markers for professional results. The 80 lb. weight and super smooth surface won't wick or bleed like most papers, and is the perfect surface for stamping or digital printing of images. Great for coloring and blending with ease. 8 1/2" x 11" sheets, 50 sheets per package.